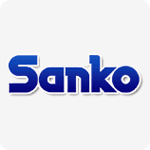 Sanko stick pack machines | T.H.E.M. Working in conjunction with Sanko Machinery Co. – the inventor of stick packaging and largest manufacturer of stick packaging machinery in the world – T.H.E.M. provides North American marketers affordable and rapid access to complete, flexible packaging solutions. This alliance, known as The Sanko Solution®, allows clients to minimize capital and start-up costs with low risk access to flexible packaging that has been adapted to American standards and engineered to client requirements. T.H.E.M. 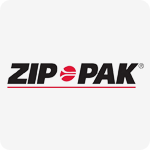 has entered into an agreement with ITW Zip-Pak to market Zipbox® on a global basis and to partner in further development of Zipbox® technology and machinery systems. Zipbox® is the revolutionary packaging innovation that combines the best features of traditional paperboard cartons with the convenience and functionality of zippered pouch packaging. T.H.E.M is the exclusive North American partner of Earthinks, manufacturer of environmentally friendly printing inks and coatings for flexographic and screen-printing on a wide variety of substrates used throughout the food industry. T.H.E.M is committed, as a responsible corporate citizen, to offer sustainable alternatives that are both highly beneficial to our clients and the planet. With this affiliation, T.H.E.M. continues its efforts to provide products and services that meet the highest levels of both quality and environmental responsibility. T.H.E.M. has formed a venture with Australian-based Snapsil Corporation and machinery manufacturer MULTIVAC to introduce the Snapsil easy-open portion pack to the North American market. Snapsil is an innovative semi-rigid container that features a patented audible “snap-opening” function enabling simple and controlled product release for a variety of unit-dose and single-serve consumer products. Bemis Company, Inc. is a supplier of flexible packaging used by food, consumer products, medical and pharmaceutical companies worldwide. The Snapsil ® easy-open semi-rigid package was introduced through a joint effort between Bemis, Multivac, T.H.E.M. 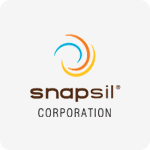 and Australian-based Snapsil Corporation. MULTIVAC is the North American machinery provider supporting T.H.E.M.’s partnership with Snapsil. 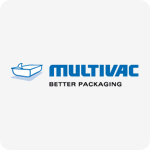 MULTIVAC’s thermoforming packaging machines allow brands to benefit from the company’s established and extensive engineering, sales and service network. T.H.E.M. I the exclusive North American representative of world-class machinery manufacturer FBR-ELPO and its aseptic bag-in-box (BIB) filling machines and aseptic processing equipment.